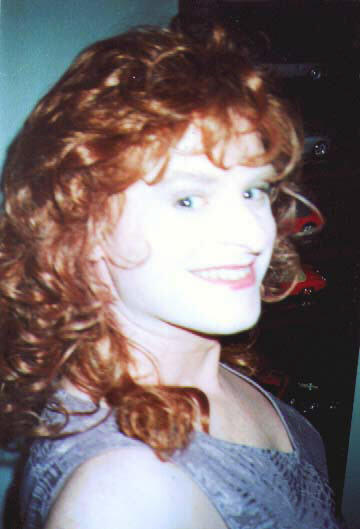 I've had many times now where I've left my home while "en femme" (while crossdressed). As I think I've probably said or implied elsewhere, I've been out shopping, to movies, dancing, to the symphony, eating out at restaurants, hanging out with friends at local pubs, attending events like Lilith Fair, etc. In other words, I really try to do whatever I might do in "boy mode." I do, of course, consider the safety of where I go; and I recognize that I'm fairly passable when I do go out [it wasn't always so, BTW.] However, I also do my best to be proud (or refuse to be ashamed) of who I am. 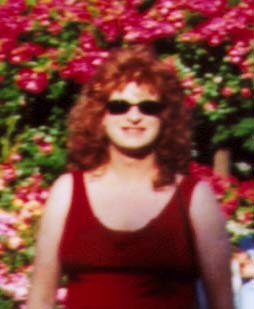 I am a TransGendered (TG) person, and dressing the way I do isn't hurting anyone (at least not IMHO ;-). Anyway, I imagine you got that idea from my main page or the More on Kim Page. October, 1998... when I was a skinny bit**! July, 1998... some lasting friendships began. Esprit 1998 My first, and a big beginning for me. p.s. : If you want the story, and more pictures, I suggest you check my blog (diary). In 2004 I went out several times... To the movies, to wine country, to dinner and pool, to Disney World, to... Please see my Out in 2004 Page for more information, pictures, etc. In 2002 I went to my fifth Esprit, and had a great time! Please see my Out at Esprit 2002 Page for more information, pictures, etc. 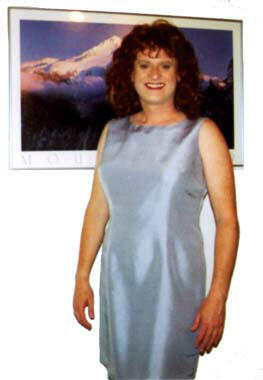 In 2001 I went out in Portland (several times), Denver, Chicago, etc. I got a late start of sorts on being "en femme" this year; was having a fine time being in my boy mode. In fact, that's the way I went to this year's Esprit conference... Now that was quite the experience! Anyway, please see my Out in 2001 Page for more information, pictures, etc. Lilith Fair: I went to all 3 Lilith Fairs, and had a great time! Please see my Lilith Fair Page for more information, pictures, etc. December 12, 1999: Pictures. I should have some in awhile of friends and I hanging out; and from Halloween. For now, here are two more pictures for you (I'm soooo vain! ;-). These are from when I went to the GLBT film fest here a couple of months ago... So where do these pic's belong in my collection? I finally have my Southern Comfort Conference 1999 page posted up here... Sorry to those whose pictures I said I'd post and then went at glacial speeds to do so. This page last updated on 29 September, 2001. ©1964-2006 Kim McNelis. All Rights Reserved (No images, text, etc. may be copied w/out Kim's consent. Thank you).